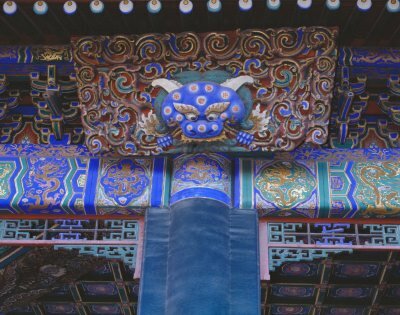 The Belvedere of Pleasant Sounds (Changyin ge) is the largest opera theatre in the Forbidden City. 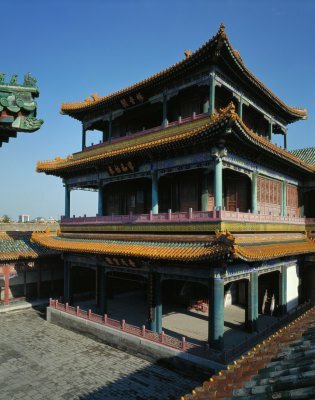 Now the whole courtyard where it stands is reserved for the Opera Gallery in which the exhibition Opera at the Qing Court is on display all year round. 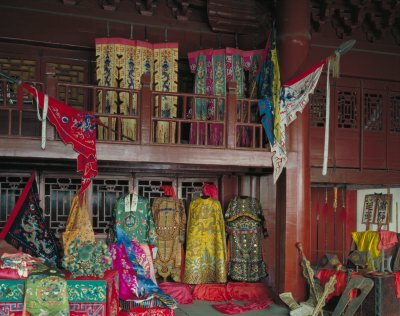 Here costumes, masks, playbills, stage properties, and old photos comprise a colorful display, with classical arias of traditional Chinese opera by famous singers broadcast. 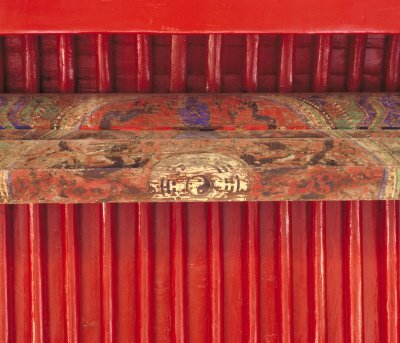 The Belvedere consists of three floors. From the top to the bottom, they are named "Fortune (fu)", "Wealth" (lu), and "Longevity"(shou). At the ground floor, five ground tunnels leading to the basement and three skylights piercing the "Wealth" floor. Pulleys are installed near or under these equipment, by which actors and actresses could ascend and descend freely as angels or ghosts during the opera. The Belvedere could hold a thousand people. When a full-length opera was on, actors and actresses occupied all these three floors. 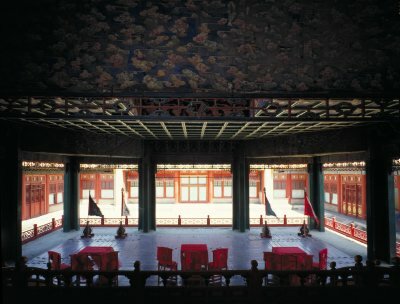 Opposite to the Belvedere of Pleasant Sounds is the Hall for Viewing Opera (Yueshi lou) where owners of the Forbidden City enjoyed the performance.